Mid-year transcripts are now available. Please submit your request for mid-year transcripts through Parchment. If you applied to a college/university through The Common Application, please request your transcript be sent to The Common Application. You will need your Common App ID number. If you have any questions, please see your counselor. Current Students and 2017 Graduates: Request your transcript using your Parchment account. Please allow 14 working school days for processing. If you request your transcript over a weekend or holiday, processing may take longer. Former Students: Graduates within the last 5 years – Request your transcript in person by completing the transcript release form found on this page. Click here to open the Transcript Release Form. Parchment does not have your transcript. Click the Online School Payment link to pay online, or you can pay by cash or check when you come to pick up your transcript. 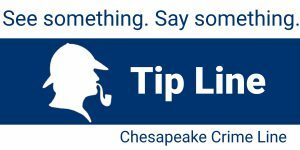 If you graduated or left the Chesapeake Public School division more than 5 years ago, you may contact the Microfilm department for any of the above information. Submit the Transcript Request Form to the Microfilm Department. To contact the Microfilm Department call 757-494-8078. In these instructions, you will learn how to create a Parchment account. If you are under 18, you must check the box to confirm that you have your parents’ permission to create the account. You must have a signed Transcript Request Authorization form on file with your counselor. Your password must be at least 8 characters long, and contain both letters and numbers. During the registration process, you will be asked if you’d like to share your information with colleges and/or employers looking for people like you. If you opt-in, we will make some of the information you provide to us available to a variety of colleges and programs. The colleges and programs can then send you information. Go to the Hickory High School website and click on the Parchment link from the scrolling menu bar. This will take you to the Hickory High School Parchment Page and should show the school’s information at the top. Click on “New Learner Account”, and scroll down the page to see the demographic information. Enter your full name as it is listed on your StudentVue account. Do not use nicknames. Enter your Date of Birth, the Year that You Started at Hickory High School, the Last Year Attended, Highest Level of Education, Student ID number, email address and create a password. Make sure to type your email correctly, as this is what you will use to sign into your account in the future. Log into your Parchment account. Click the green Order button. If you don’t see this, then you haven’t added your school to your account. To do this, click + Add another school or organization you attended. You’ll land on the Order Details page. You are now on the Provide Consent page. If you’ve provided consent previously, you may not have to do anything here. Otherwise, this is where you (or your parent/guardian) authorizes Parchment to release your transcript from your school. If you don’t have an account yet, you will need to register. Uncheck the box that asks if you want to set the Common App as one of your colleges. This is a defaulted box, so you must uncheck the box. For helpful tips on navigating Parchment please view the Troubleshooting Parchment document.